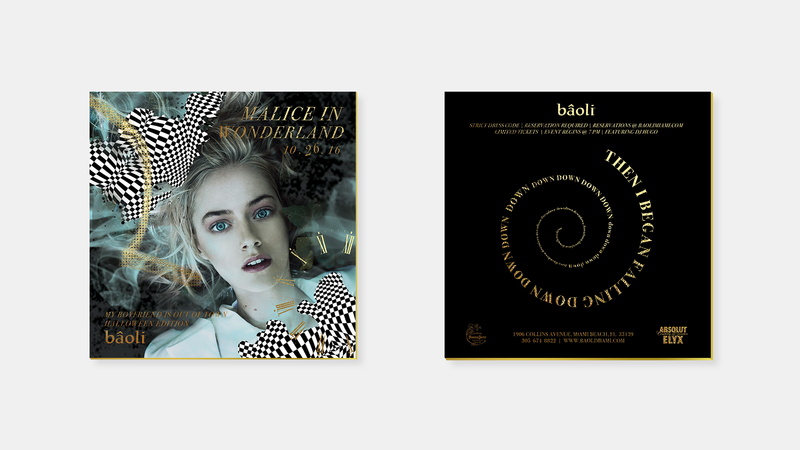 Located within the lavish Bâoli Miami, we invited guests to enter a place inspired by the world of Alice: Malice in Wonderland. Embarking on an extravagant journey filled with a series of puzzles, unexpected illusions and wondrous characters, guests embraced a highly imaginative vision and grandiose behavior only glimpsed through outlandish dreams of Alice. 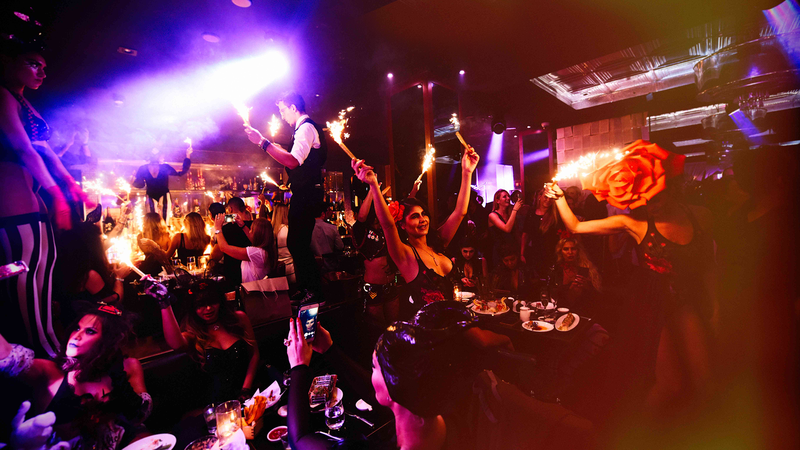 Done in true Wonderland fashion, this Halloween party was one for the books. 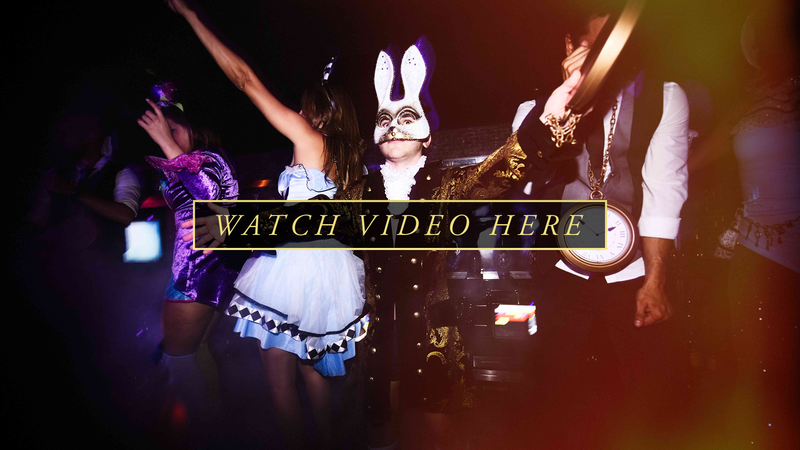 Inspired by Lewis Carroll’s infamous literary book, where the phenomena of the real world mixes with the unconscious state, we promised a night filled with nonsensical hallucinations, over-the-top costumes, and extraordinary cuisine. The world made famous by Lewis Carroll came to life underneath Alice’s skirt-draped skies.The experiential fantasy included nonsensical hallucinations, tweedle-dee and tweedle-dum dancers, and the little white rabbit himself dancing amongst guests as they were taken up in a flurry of avant-garde headpieces and eccentric occurrences. An Alice in Wonderland aerialist spun in the flashing clouds of light as guests clinked glasses to a glamorous night of extravagant surrealism. 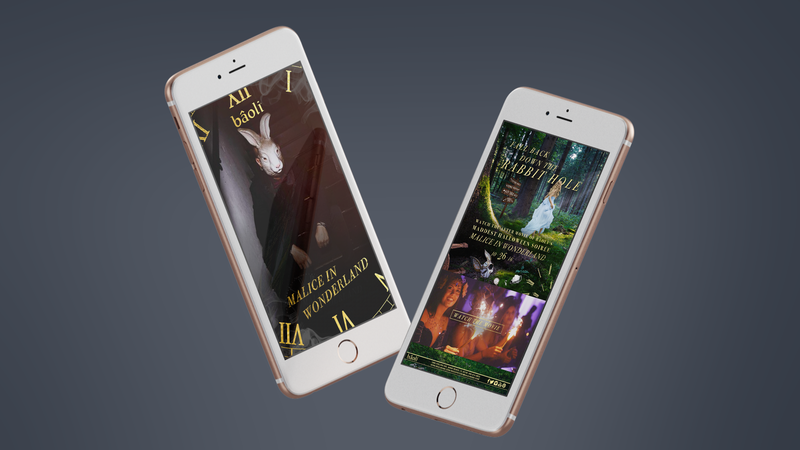 While promoting the Malice in Wonderland Halloween event, we developed and designed everything from mesmerizing printed flyers to video promotions as well as a series of marketing campaigns including social media and website strategies. For social media, we used a strategy that included an event countdown with customized posts, hashtags, and captions to engage readers each day leading up to the event. In order the capture the elaborate details of this event, we gathered the best professional photographers to capture every detail from the dreamlike performers to the lit up Alice legs that covered the outdoor garden. Some things are better explained through video. 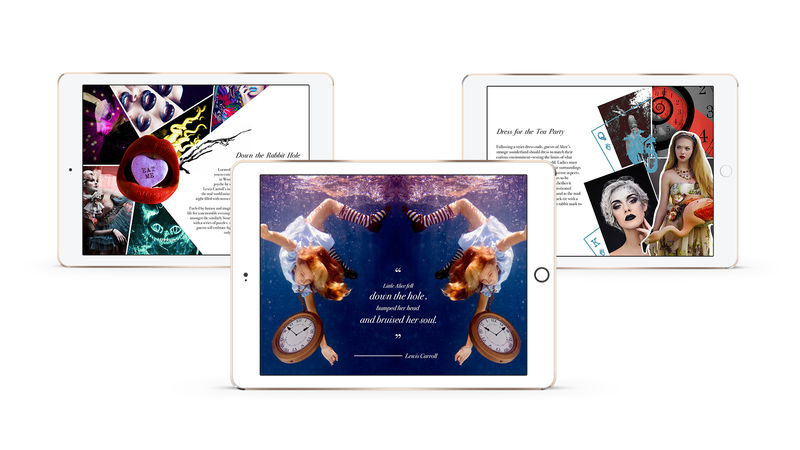 We were able to lead the creative direction of the recap video captured from the classic film Alice in Wonderland. Experience the surrealism for yourself below.